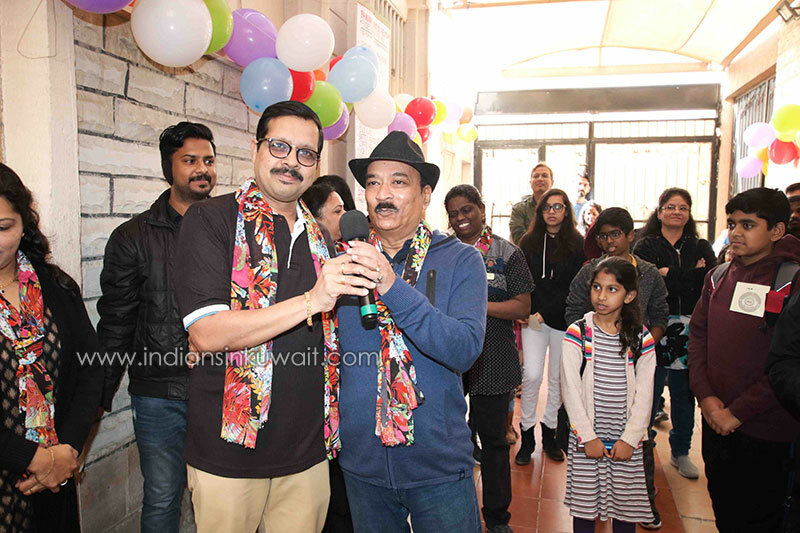 Bhavans’ Fraternity Kuwait, Indian Educational School, Smart Indian School and Jack and Jill, organized the annual family get together on January 25, 2019, fondly known around the country as Bhavans’ Winter Fiesta. It is an occasion of togetherness, glee, and fun. 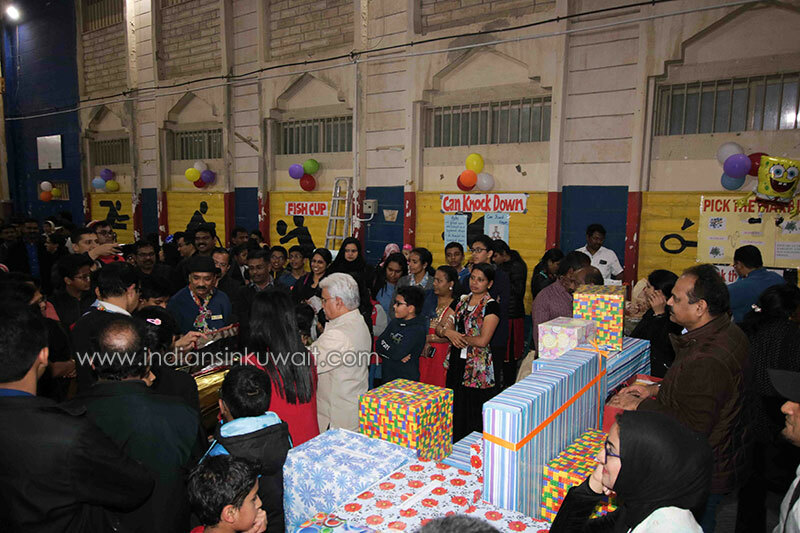 The students, the parents, and the visitors thronged the carnival venue braving the foggy weather. The blur in the air paved way for music, dance, games, mouthwatering delicacies, and many thrilling competitions. 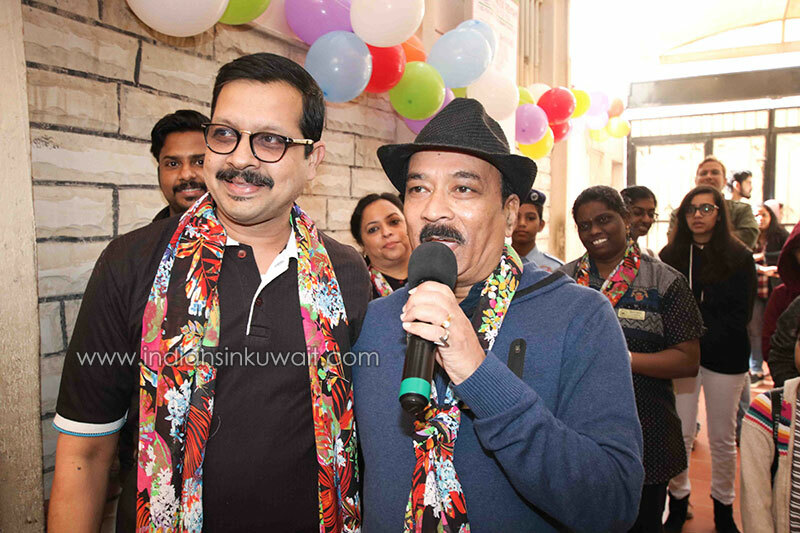 The carnival was inaugurated by the chairman, Bhavans Middle East Mr. N.K. 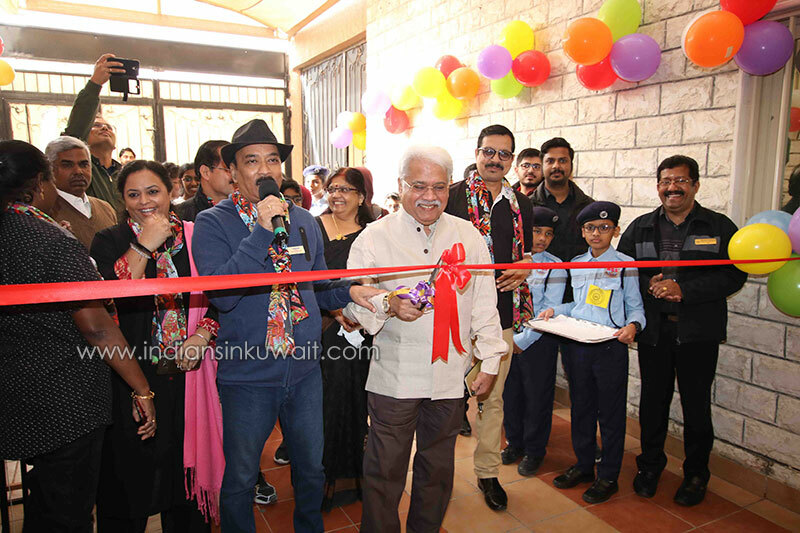 Ramachandran Menon amid cheers and applause at 10 o’clock in the morning on Friday, the 25h of January in the presence of Mr. T. Premkumar, the principal, Indian Educational School, Mr. Mahesh Iyer, the principal, Smart Indian School, Mrs. Rathi Raveendran, the principal, Jack and Jill, Mr. Suresh .V. 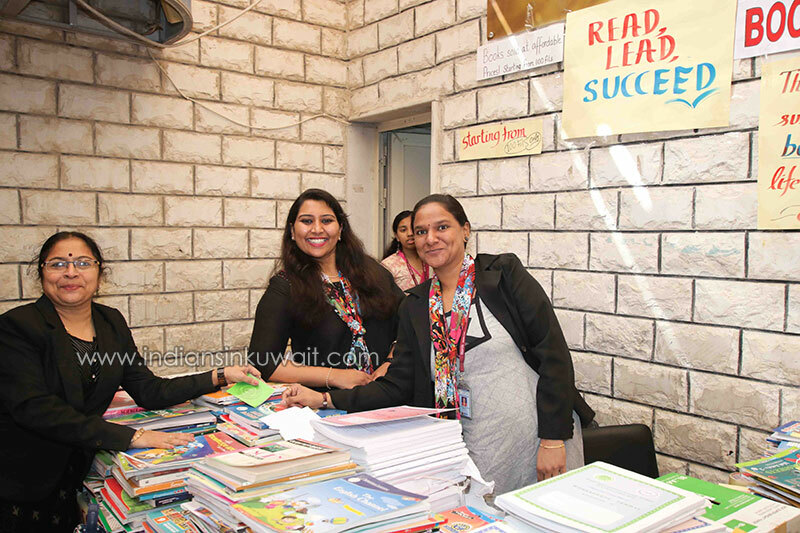 Balakrishnan, the vice principal, Middle and Senior Wing (IES), Mrs. Lalitha Premkumar, the vice principal, Kindergarten and Primary Wing (IES), Mrs. Meenakshi Nayyar, the vice principal, CCA (IES), Ms. Albin Daisy, vice principal (SIS), heads of departments, teachers, students and parents. 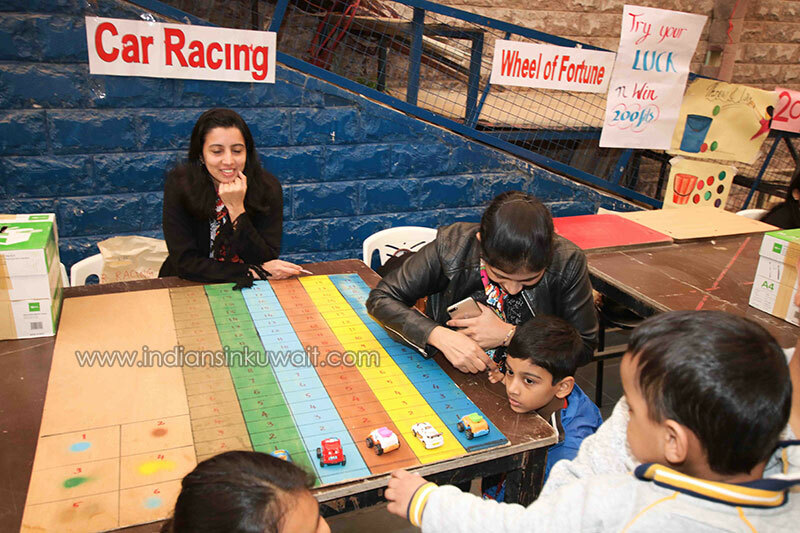 Guess the Colour, Pick the Marble, Killing the Rat, Feeding the Lion, Fish your luck, Sweet Tooth Bar, Anda ka Funda, Drop a Coin, and Wheel of Fortune were some of the happening stalls that attracted visitors. 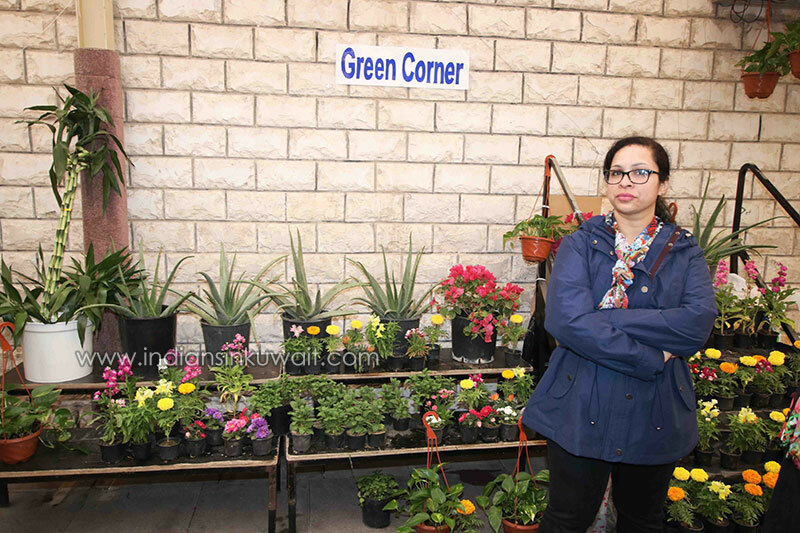 The Green Corner was a unique stall that introduced and sold many varieties of flowering, and non-flowering plants and garden accessories. Bingo was another zone of public interest. The young and the young at heart partook in the Bingo game. The basement of the building was the most wanted as well as the most visited stalls of the carnival. 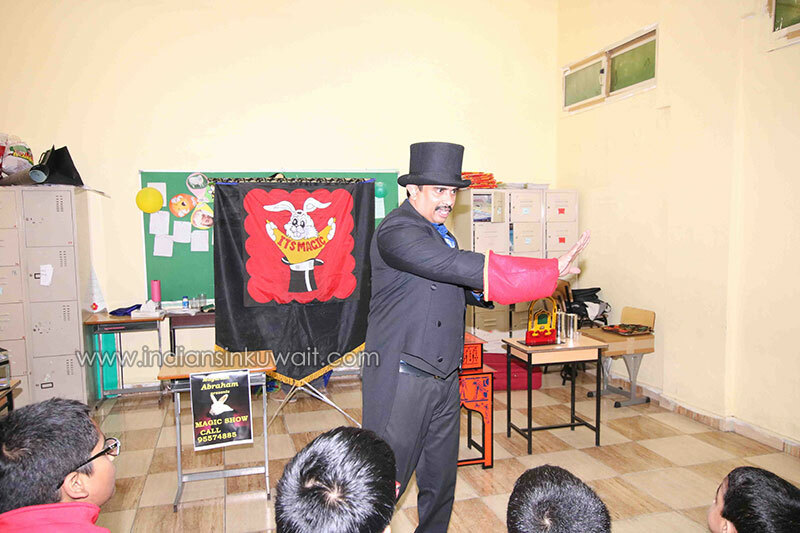 The Magic Show was immensely popular among the children. The Deal or No Deal was also flooded by the gamers. The Xbox and PS games stalls in the basement were also crowded with virtual gamers. 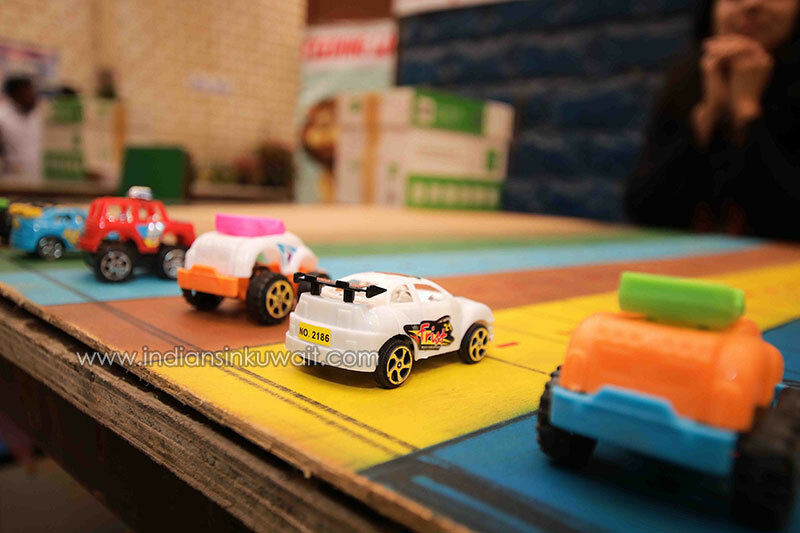 One of the major attractions of the carnival was Bhavans’ miniature flea market aka the White Elephant Stall. 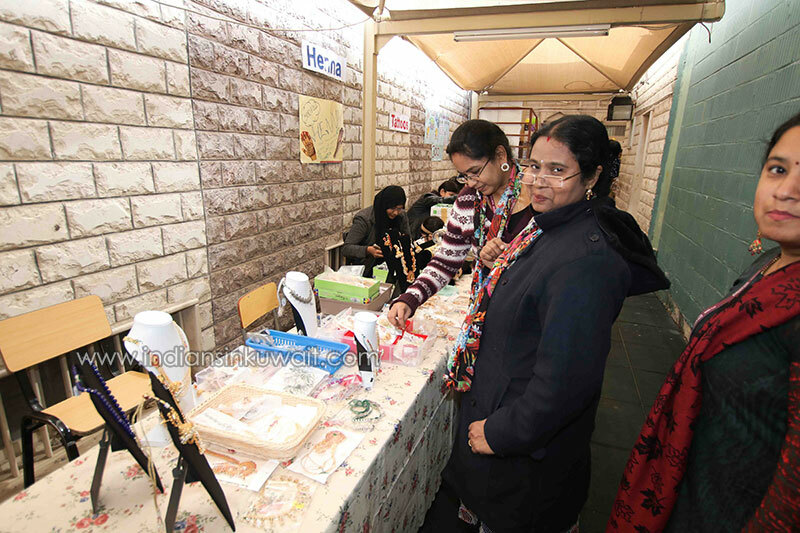 The generous contributions of Bhavanites helped White Elephant stall to remain one of the most visited stalls this year as well. The White Elephant Stall offered everything but hammer and nails. The Free-Fall-Bouncy Rides added adrenaline rush to the fun and frolic. 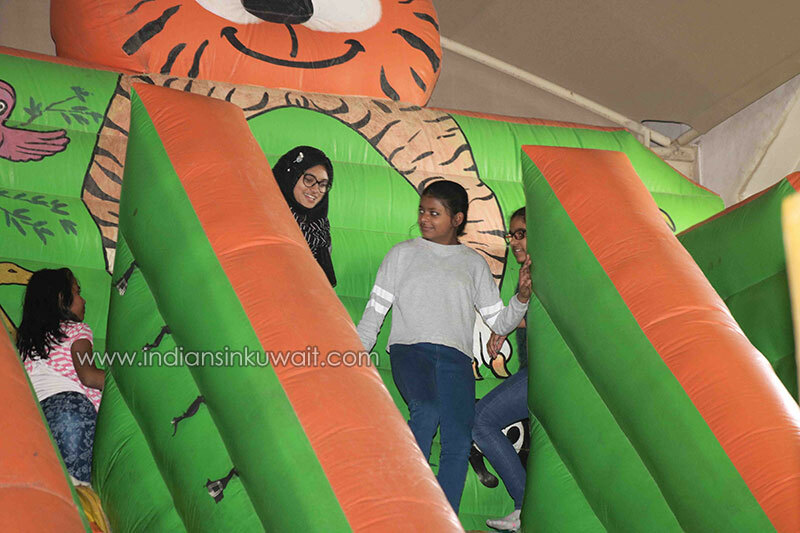 It was a matter of pride for the young children to jump and bounce down the slides. 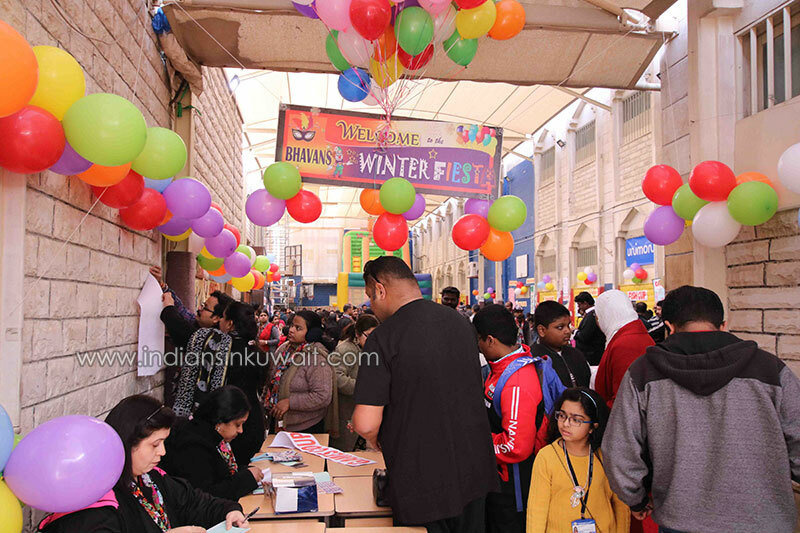 The tattoo corner, face painting corner, hair coloring stall, cake and pastry zone, instant portrait corner and the Juke Box were some of the most popular zones of interest at the Bhavan’s Winter Fiesta. 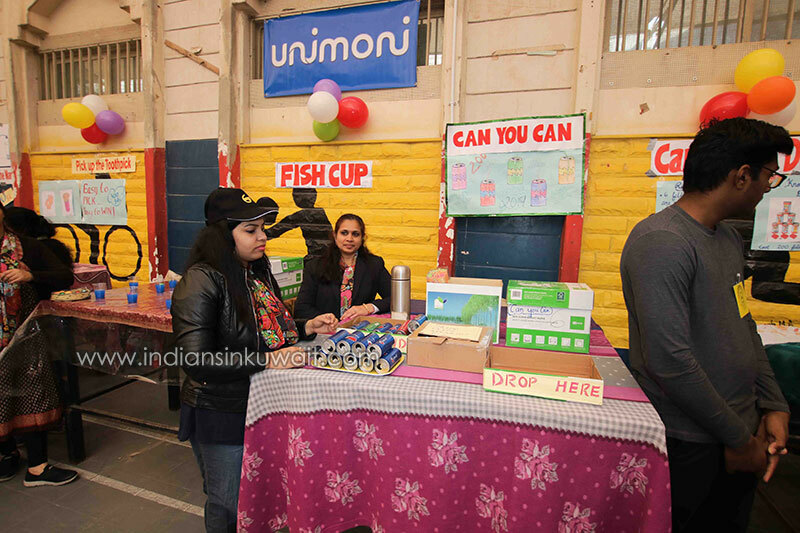 The mouth-watering delicacies of the Indian and Arabic cuisines served at the food stalls kept the late January chill at bay. 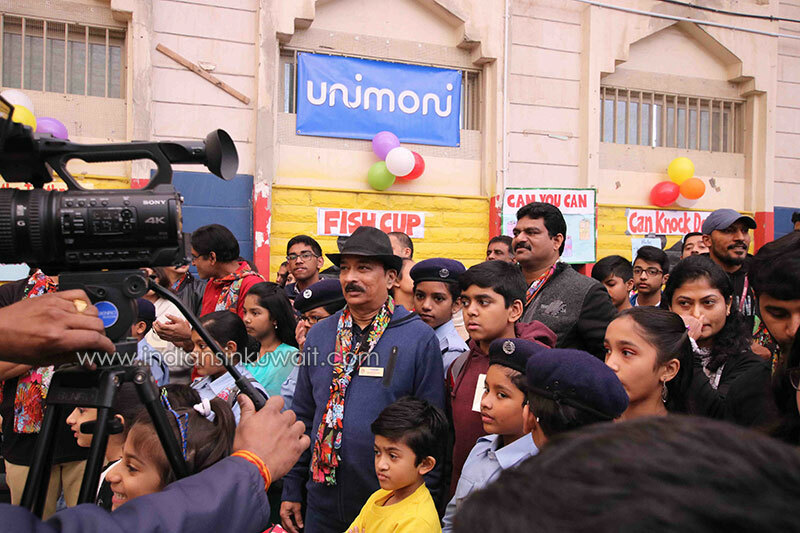 The Bhavanites, both students and teachers performed flash mobs within the carnival premises. 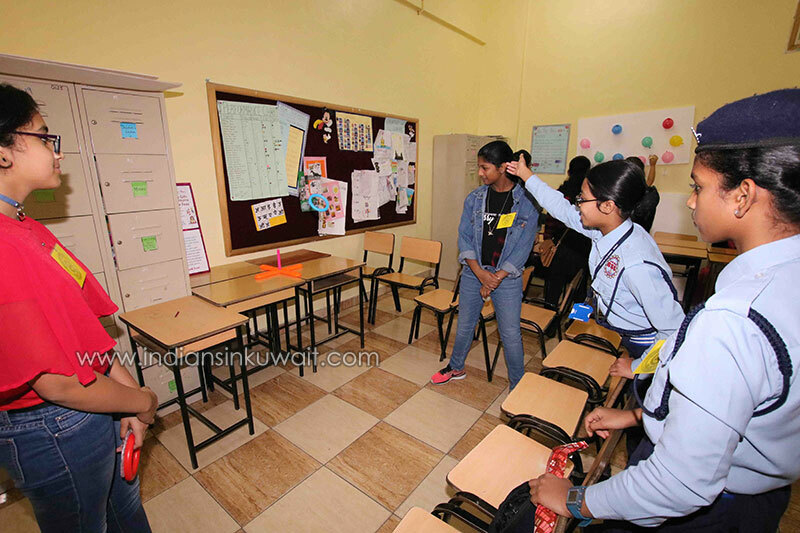 The performances of the live wire dancers of IES were indeed a visual treat for the visitors. Some of the visitors and parents also danced to the electrifying tunes. 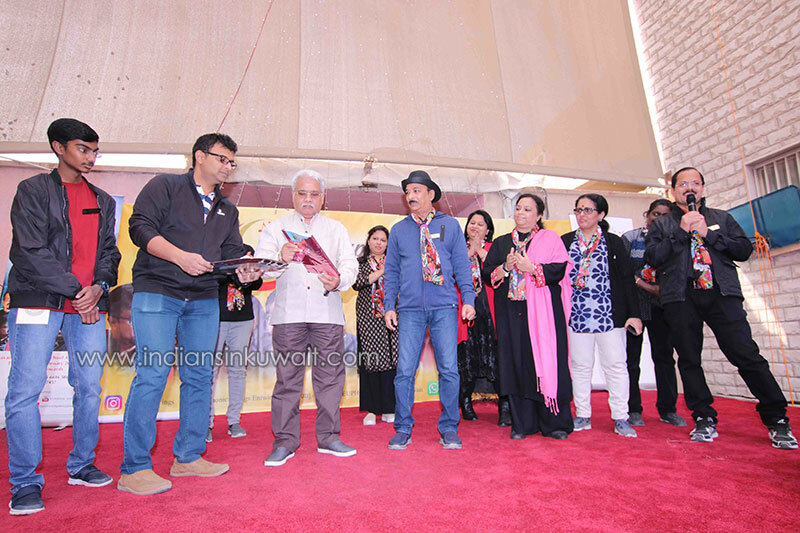 ‘Euphonic Strings’, the newly christened music band patronized by Bhavan Kuwait led by Mr. Mahesh Iyer, the principal, SIS also added euphoria to the fiesta. The band spellbound the audience with popular numbers from the musical vaults of Hindi, Malayalam, and Tamil cinema. 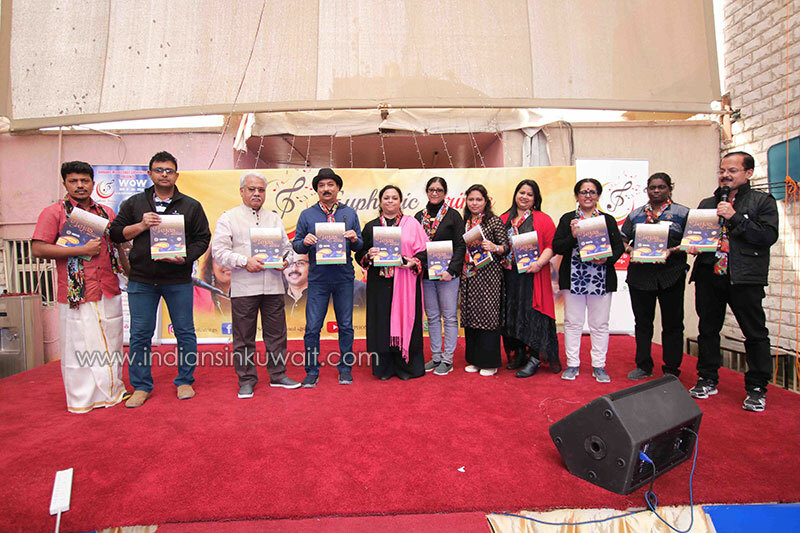 The highlights of the day were the release of ‘Tejas’, the school magazine, a churning furnace of creativity and information, the felicitation of the Kuwait and Middle East topper of the Grade 10 CBSE Examination 2018, and the felicitation of the basketball and badminton teams of Indian Educational School Kuwait for their incredible achievement of bagging the bronze medal at the CBSE National Tournament held in India in December 2018. 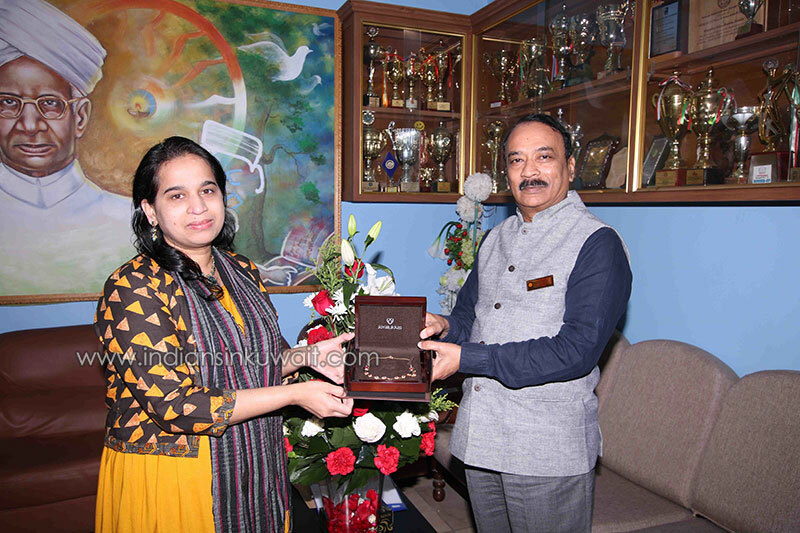 The coaches Mr. Mathialagan and Mr. Murugaiyan (PE Department, IES) also received cash incentives from the Chairman. 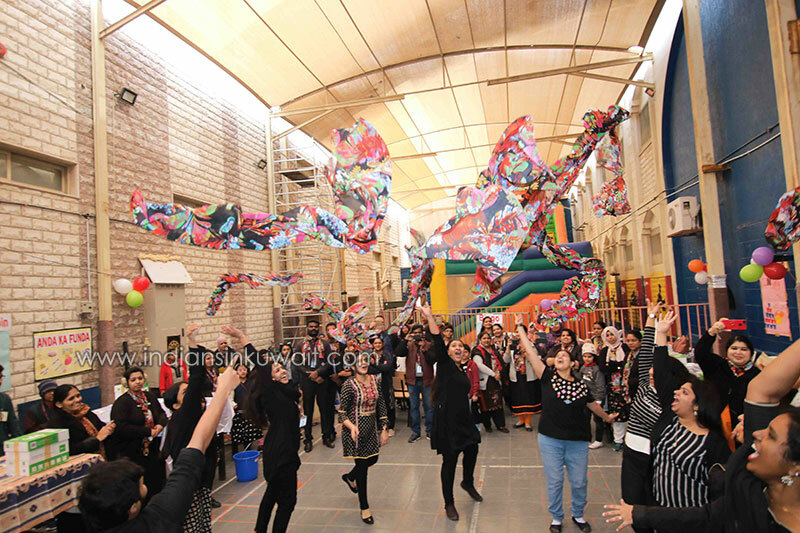 The school premises brimmed with merrymakers from dawn to dusk. 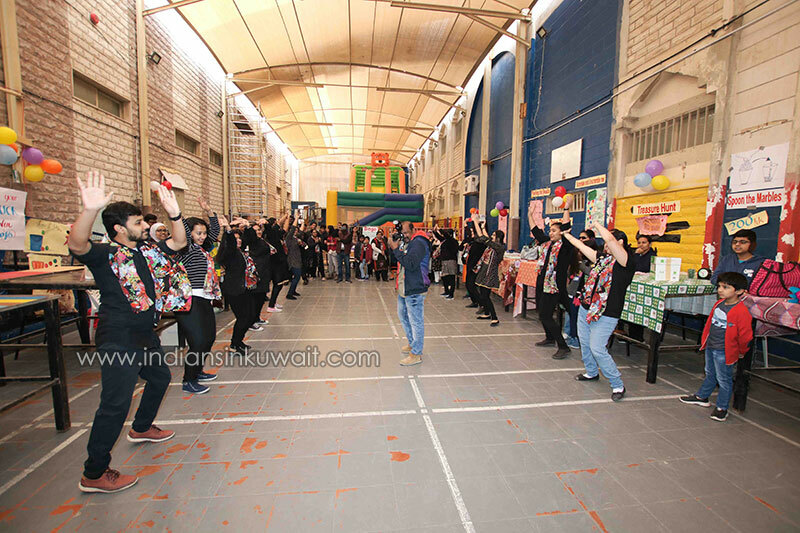 Baby Show and Cultural Programs won accolades from the audience. 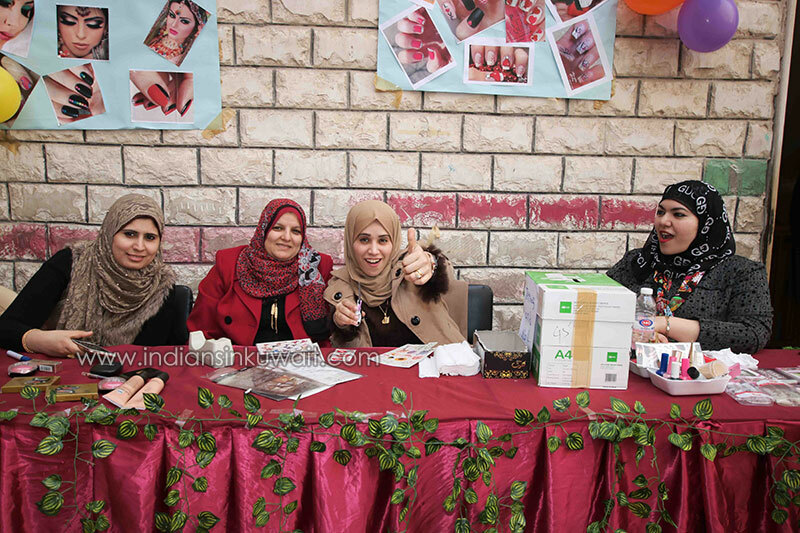 The Talent Show and Fashion Show also garnered great admiration from the onlookers. The winners were bestowed with prizes and medals. The DJ Show was the most sought-after attraction of the Winter Fiesta by the young and frolic lovers. 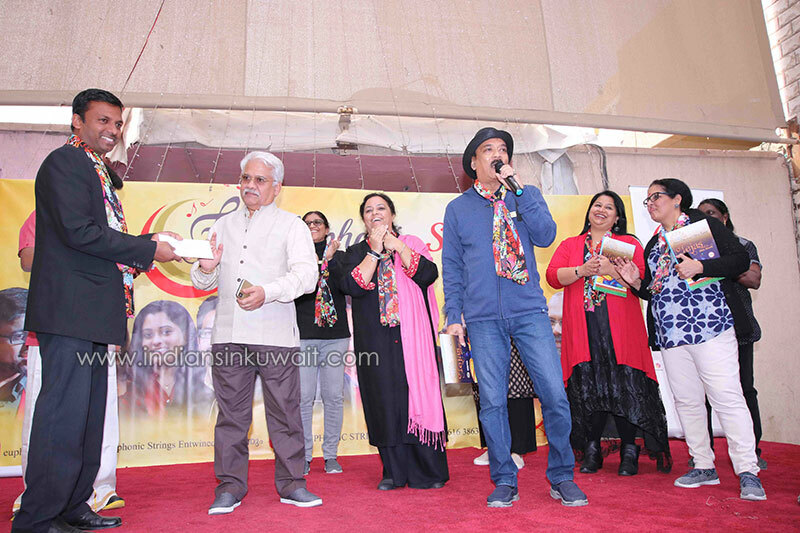 Hundreds of music and dance fanciers mass hysterically rocked and rolled on the floor of the auditorium to some of the heart-pounding songs. The day of euphoric excitement culminated with the raffle coupon draw at night. 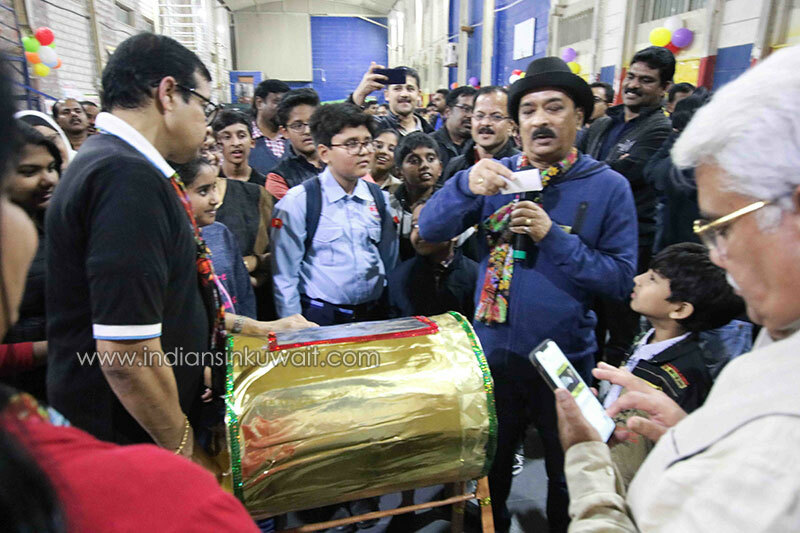 Mr. T. Premkumar, the principal of IES announced the names of the raffle draw winners in the presence of Mr. N. K. Ramachandran Menon, Mr. Mahesh Iyer, vice principals, teachers, students, parents and other well-wishers. 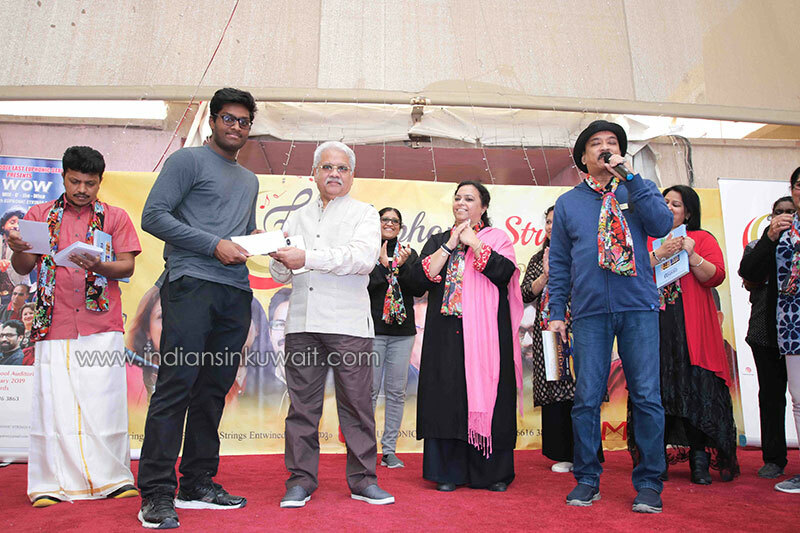 The first prize, a gold necklace worth KD 400 was won by Subi Sebastain followed by Susi John and Ayush winning NBK cash awards. Other prizes including Ikon TV 40 inches, Samsung Camera, Sony home theatre and so on were won by the lucky lots, of the day. The 21st prize, a surprise one was a diamond necklace worth KD 300, and it was won by a lucky Chris. The platinum sponsor of the day was Unimoni Exchange. ABK, NBK and Abbott Nutrition were the bronze sponsors. 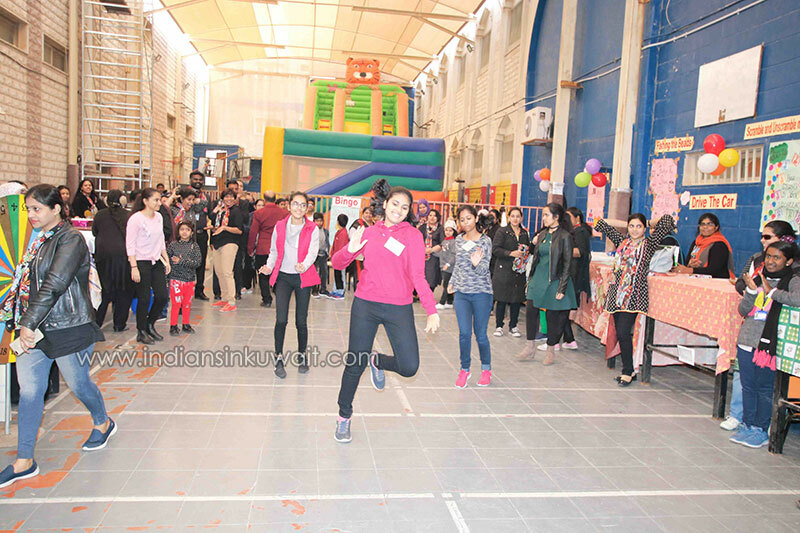 An awesome and a thrilling carnival of the academic year 2018-2019 came to an end in a fitting manner as many a spirited soul could be seen lingering around hopping for more of the fun. 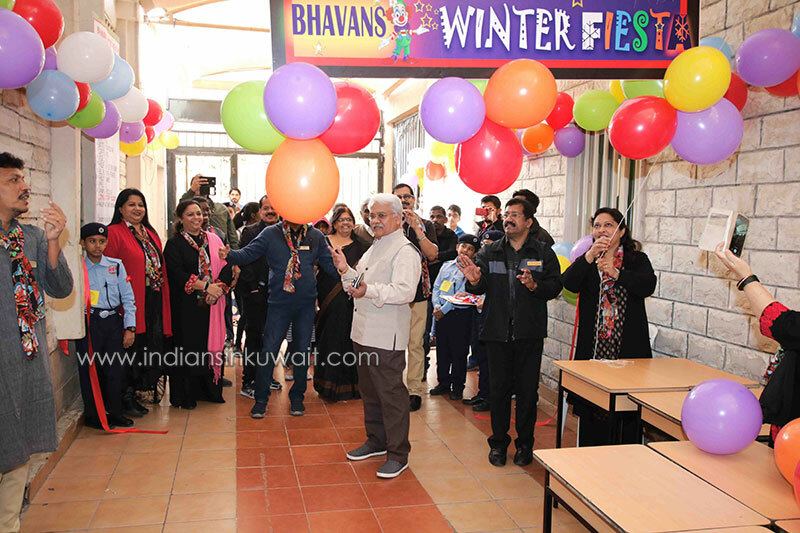 The large number of visitors that flocked to the venue stood testimony to the popularity of Bhavan’s Winter Fiesta – the best and the most popular carnival that is more of a family get together than a fun-filled experience.